"How Should I Wear My Scarf?" in a scene from the movie 'Giant'. is the most asked question I get from my customers. 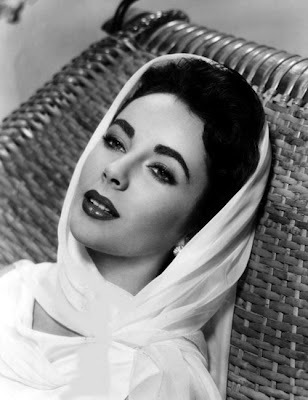 who famously wore her scarf this dramatic way. (or most any scarf, for that matter)! or just let me know your scarf styling question! I love Elizabeth Taylor in National Velvet. a beautiful child. And she sure knows how to show off a scarf. Elizabeth Taylor was only 12 years old when she debuted in National Velvet. And I agree, MikeB - when Elizabeth showing off her scarf style in Giant, it was 1956; she was 24 years old, and by then a major star!